You’ve been wanting to start your own business. So you do careful research. One thing that keeps on popping up is an eco business. But how viable is it? Isn’t it just a fad that will fizzle out in a couple or years or so? What’s in it for you? Read on and find out. Green businesses, like an eco car wash, have ceased to become fads. They are now thriving enterprises that answer specific needs – the need for safety and economy. True, organic products and services might cost more than their non-green counterparts, but people are still buying. Why? Ask any business guru and he’ll tell you that any product or service that answers people’s needs is bound to succeed. Take a green car franchise, for example. Winter, spring, summer or fall, you’ll have customers calling you, simply because they need to get their car cleaned. These people are aware that their car needs regular cleaning and maintenance to keep it looking great and functioning properly longer. This, in turn, will help them save money from not buying a new vehicle every five years or so. As more people use your product or service, you will build a base of conscientious consumers who will spread the word about you. When you own an eco business, you can’t help but start living and breathing green practices because you research about it, talk about it, and seek like-minded people. You’ll move from printed to paperless transactions. You’ll find ways to reduce your carbon footprint, from putting off lights when not in use to reusing, recycling, and repurposing office supplies. And since majority of employees see their leaders as role models, they’ll be following your lead. In no time at all, you’ll be patting yourself at the back for making a difference, one green action at a time. Never has the eco business industry made such an impact as it does today, as an increasing number of investors are supporting environmental products and services. Last year, asset managers launched a record number of socially conscious mutual and exchange-traded funds, regardless of the fluctuations in the stock market. 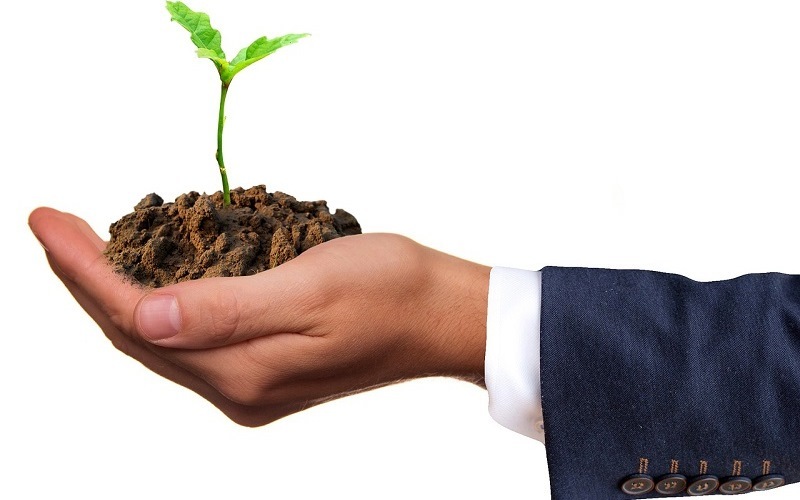 Yes, going eco-friendly is an opportunity to attract and engage with current and future investors. Videos of near-to-extinction marine animals caught up in plastic materials, water crisis in different parts of the globe, illnesses brought about by air and water pollution – all these have made people more aware of the need to protect and save the environment from further degradation. As an eco business owner, you will be supporting theses causes. You will be a steward of the environment. Owning a steam car wash, for instance, will allow you to save a lot of water and prevent toxic chemicals from polluting storm drains, the soil, and groundwater. This will ensure that the future generations will still have trees to climb, clean water to drink, and safe, natural food to eat. How’s that for a lasting legacy? Indeed, there are many advantages to owning an eco business. It is a sustainable option if you’re looking to invest in business ownership. In line with this, we’re inviting you to check out the DetailXPerts’ green franchise application process and meet DetailXPerts’ green car wash customers – people who already value our eco-friendly business.